***Wolf Me Baby by KB Winters. Price: Free. Genre: Shifters Steamy Romance, Paranormal, Women’s Fiction. Rated: 4.7 stars on 217 Reviews. 248 pages. ASIN: B06XZTXZG8. USA Today & WSJ Bestselling Author KB Winters. ***Highland Wolf Clan Series, Book 1, The Reluctant Alpha: A gripping tale of Shifters full of suspense, action and paranormal romance! by A K Michaels, Missy Borucki. Price: Free. Genre: Paranormal Romance, Sponsor, Shifter Romance, NY Times Bestselling Author. Rated: 4.6 stars on 267 Reviews. 251 pages. ASIN: B00SWPJF9C. NY Times Bestselling Author A K Michaels. *Secretly Craved (Billionaire Bear Brotherhood Book 1) by Lily Cahill. Price: Free. Genre: Shifters Steamy Romance, Multicultural, Paranormal. Rated: 4.5 stars on 17 Reviews. 159 pages. ASIN: B01CT213YI. *The SnowFang Bride (Deal, Not Free) by Merry Ravenell. Price: $0.99. Genre: Shifter Romance Deal, Sponsor, Werewolves & Shifters. Rated: 5 stars on 4 Reviews. 324 pages. ASIN: B01M18PRXA. *A Magical Shift (Weres and Witches of Silver Lake Book 1) by Vella Day. Price: Free. Genre: Shifters Steamy Romance of the Day, Paranormal, Romantic. Rated: 4.9 stars on 39 Reviews. 220 pages. ASIN: B01B6WT11Y. ***Before Midnight: A Romantic Retelling of Cinderella (Blood Prince Series Book 1) by Jennifer Blackstream. Price: Free. Genre: Shifter Romance, Sponsor, USA Today Bestselling Author. Rated: 4.4 stars on 380 Reviews. 189 pages. ASIN: B00DPYZZXA. USA Today Bestselling Author Jennifer Blackstream. **Brave Bear Mated (Ouachita Mountain Shifters Book 7) (Deal, Not Free) by P. Jameson. Price: $0.99. Genre: Adult Bear Shifter Deal, Sponsor, Paranormal Romance. Rated: 4.9 stars on 49 Reviews. 166 pages. ASIN: B01M04IJVA. ***Crux (Southern Arcana, Book #1) by Moira Rogers. Price: Free. Genre: Adult Shifter Romance, Sponsor, Paranormal Romance. Rated: 4.2 stars on 217 Reviews. 256 pages. ASIN: B017PH5KU0. Excellent Shifter Romance of the Day! 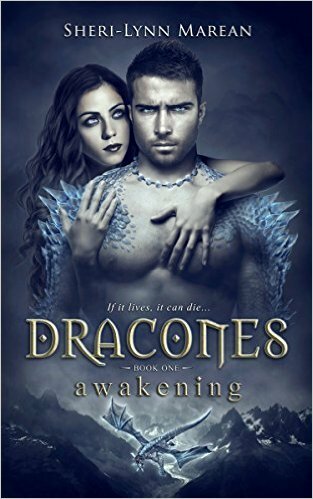 *Dracones: Awakening (Deal, Not Free) by Sheri-Lynn Marean. Price: $0.99. Genre: Steamy Shifter Romance Deal of the Day, Sponsor, Werewolves & Shifters, Paranormal. Rated: 4.5 stars on 31 Reviews. 425 pages. ASIN: B01B5BJLZC. *Wolf Rock Shifters Books 1-5 by Carina Wilder. Price: Free. Genre: Steeamy Shifter Romance, Steamy Romance, Romantic Comedy. Rated: 4.9 stars on 9 Reviews. 668 pages. ASIN: B01BW4KWJQ. $1 NY Times Bestselling Author Dragon Shifter Steamy Romance Deal! $1 NY Times Dragon Shifter Adult Romance Deal! Barbarian Prince: Dragon Lords Anniversary Edition (Deal, Not Free) by Michelle M. Pillow. Price: $0.99. Genre: Steamy Dragon Shifter Romance Deal of the Day, Sponsor, NY Times Bestselling Author. Rated: 4.2 stars on 113 Reviews. 508 pages. ASIN: B00JSAB49Y. NY Times Bestselling Author Michelle M. Pillow. Reviewers love it: Astounding! I love this author and I love dragons! This expanded anniversary edition is even better and hotter than ever! I devoured it within a few hours! I cannot wait for the next books in the series to throw myself headlong into! The Bear’s Reluctant Bride by Amy Star. Price: Free. Genre: Steamy Paranormal Romance of the Day, Multicultural, Werewolves & Shifters. Rated: 4.4 stars on 46 Reviews. 328 pages. ASIN: B01ATRM5DS.